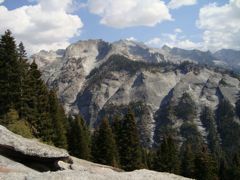 This grand Sierra Backpacking adventure takes in some of the most spectacular mountain vistas in Sequoia National Park. We provide horse support to a high basecamp, so you never have to hike with a heavy pack. We hike out of the Crescent Meadows area on the Western slope of the Sierra Nevada along the High Sierra trail to establish a comfortable horse-supported basecamp. 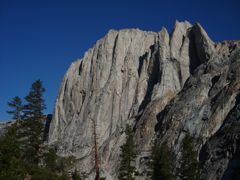 From there we spend three days exploring incredibly beautiful areas of Sequoia National Park such as the spectacular Valahalla area with it's soaring granite walls and domes. Along the way there will be plenty of time for relaxation amid the incredible beauty and quiet of the Sequoia backcountry. Nights are spend sampling gourmet backcountry cuisine and reflecting on the days adventures. 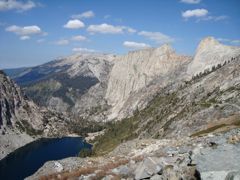 For other Sierra Nevada backpacking and trekking trips see our main Sierra Trekking/Backpacking page. 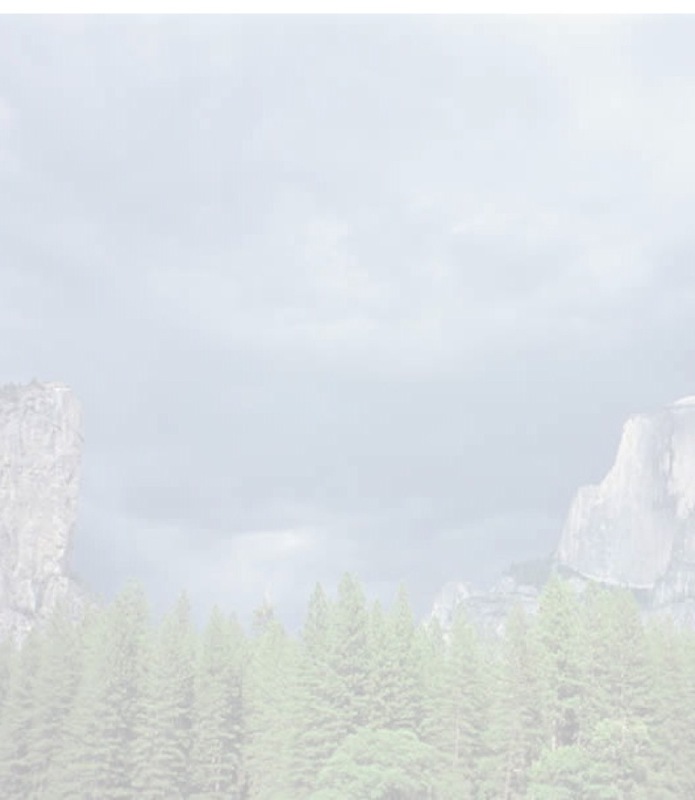 Location: We meet at Crescent Meadows in Sequoia National Park on the Western Slope of the Sierra an hour and a half from Visalia and 2 1/2 hours from Fresno. Food: At California Alpine Guides we strive to provide healthy and delicious gourmet backcountry meals. Breakfast and dinner are provided by your guide / backcountry chef while in the field. Special diets can be accommodated. Level: Good physical conditioning is required. Some previous trekking or hiking experience is required with the ability to carry a lightweight pack up to 11 miles. Includes: Breakfast and dinner while in the field, professional mountain guides and instruction, horse support (up to 35lbs per person) and all group camping gear and permits.